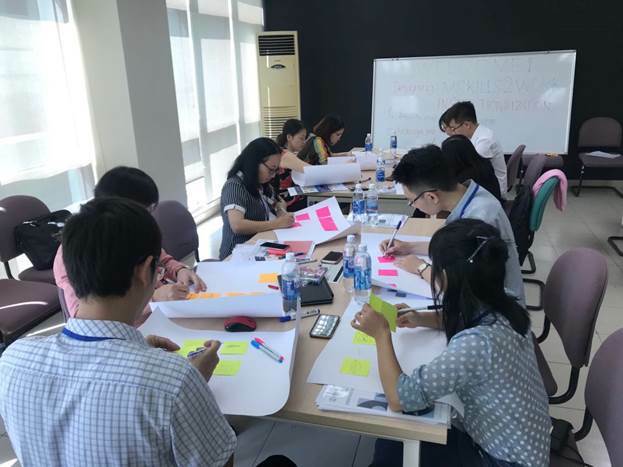 The University of Danang (UD) in collaboration with experts from Thailand organized the seminar on “Designing Institutionalization” and several teaching activities for lecturers from October 17th to 19th, 2018 at VN-UK Institute for Research and Executive Education (VNUK) and University of Economics - UD under the framework of the USAID-LMI COMET Project (Lower Mekong Initiative Connecting the Mekong through Education and Training). Mr. Suparb Pasong and Dr. Nguyen Thi My Huong – Interim Vice Dean of VNUK took responsibility as chairs of this seminar. 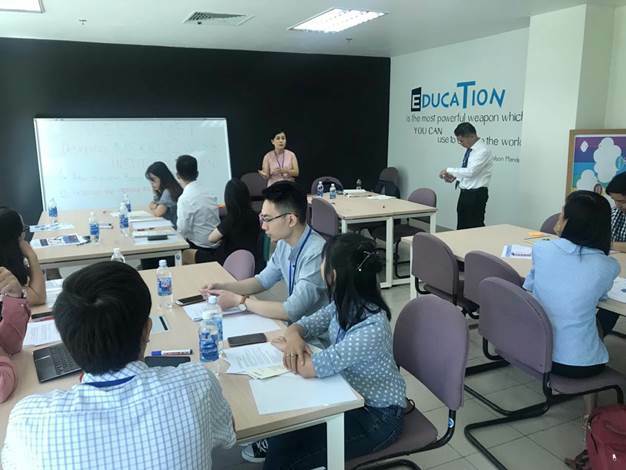 This seminar focused on lecturers from different universities in Central Vietnam participating in USAID-LMI COMET Project such as: UE-UD, VNUK-UD, Hue Industrial College and several enterprises in Danang. In order to help students actively equip themselves with necessary skills to integrate with the labor market’s need after graduation, one of the solutions identified by the project is to promote the cooperation between universities and enterprises to meet the recruitment needs. The presence of local enterprises brought a great opportunity for lecturers to receive practical feedbacks to support in the adjustment and innovation of teaching methods and training curricula. 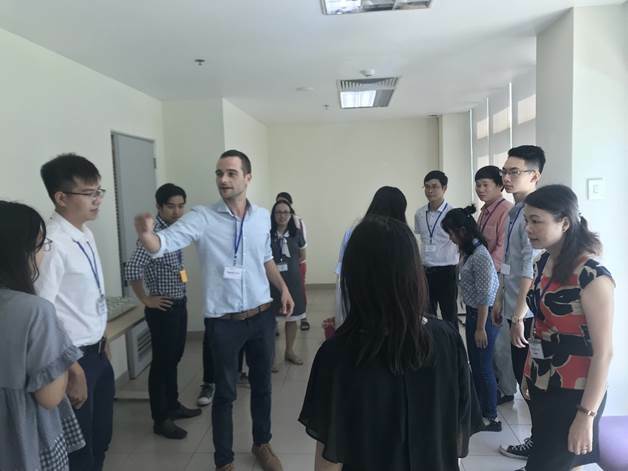 The objective of the seminar was to help lecturers effectively use the MS2W tool to design thinking and teaching activities. The lecturers were inspired to improve the training quality and transmit knowledge and skills to students, especially help students gain more practical experiences in their internship process so that they could soon meet the requirements of the competitive labor market after graduation. This is also a way to help universities to improve the ratio of employed students through the application of innovative teaching methods, the improvement of universities-enterprises relationship and the innovative development. Officially launched in March, 2016, UD has become a learning center for the Mekong region in the MekongSkills2Work network – being one of the 12 leading educational institutions in the ASEAN Economic Community with the effort to equip the working skills for graduates in the increasingly dynamic global market. The USAID-LMI COMET project will help universities and vocational training centers increase the number of qualified human resources in the lower Mekong countries. The project is designed to narrow the gap between the private sector, universities and vocational training centers to ensure the supply of highly qualified workforce meeting the needs of local enterprises.